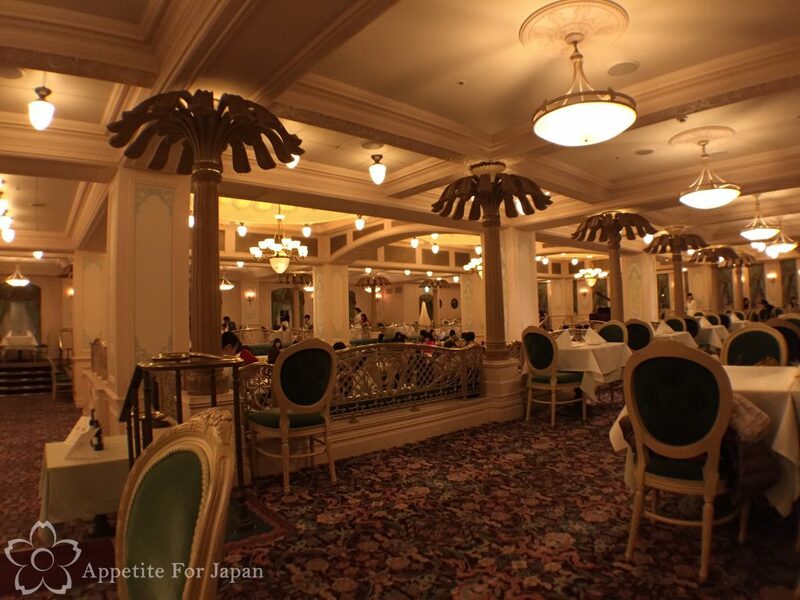 The S.S. Columbia Dining Room is one of six table-service restaurants at Tokyo DisneySea, and it’s easily one of the most luxurious places to dine in the whole of Tokyo Disney Resort. 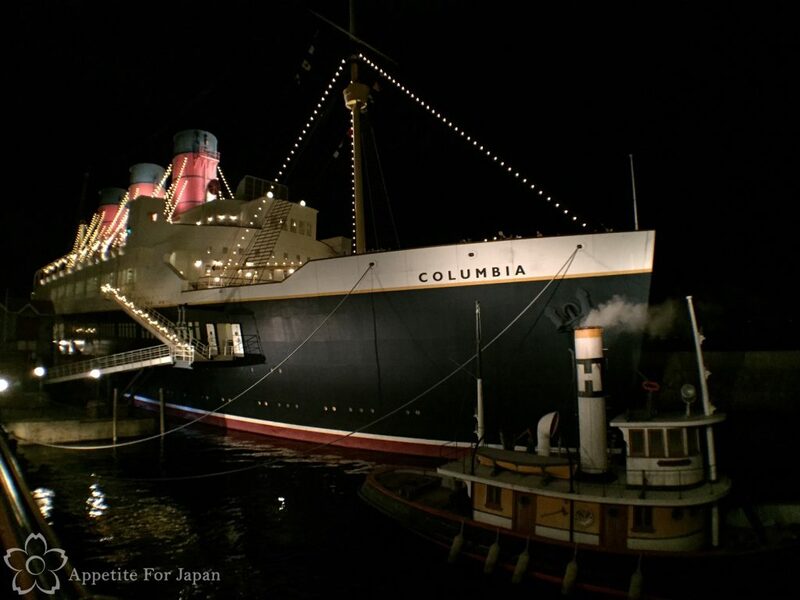 The SS Columbia is a huge Titanic-like ocean-liner in Tokyo DisneySea’s American Waterfront. It’s not a real ship, so unlike the Titanic, you won’t need to worry about getting that sinking feeling (pun very much intended) as you dine aboard it, and if you’re prone to getting sea-sick, you won’t need to worry about that either. One of many things that Tokyo Disney Resort does very well is making everything feel real. Stepping ‘aboard’ the S.S. Columbia, I found it easy to believe that I was wandering around the Titanic. Above: The grand staircase up to the S.S. Columbia Dining Room. 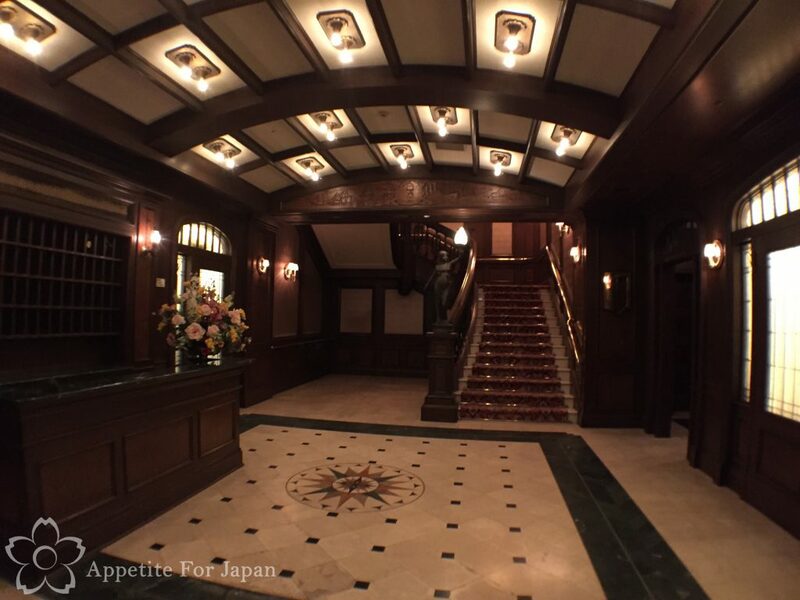 Above: Once you’ve made it to the front of the line – or if you’re staying in one of the three Disney hotels (the Tokyo Disneyland Hotel, Disney Ambassador Hotel, or Tokyo DisneySea Hotel Miracosta) and you’ve made a reservation in advance – you’ll be seated in the waiting area. 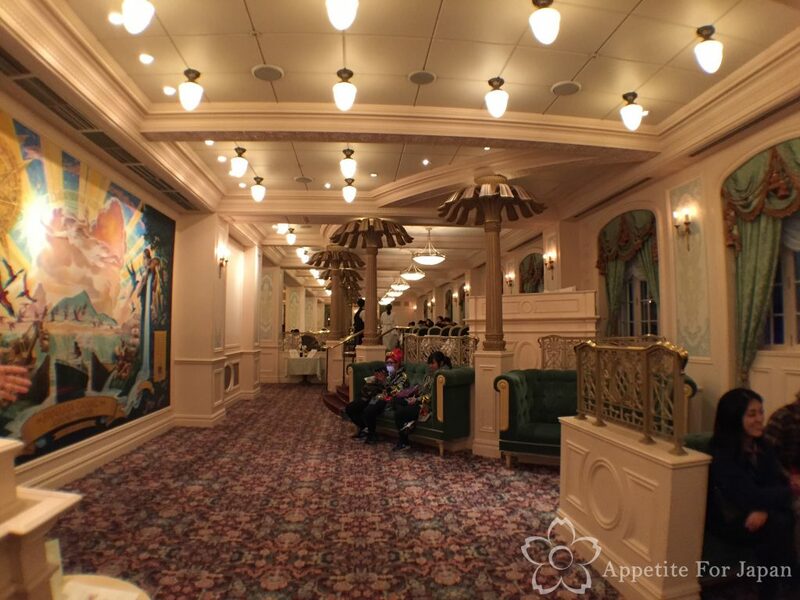 Above: The restaurant, like the rest of the ship, has an Art Nouveau theme. As at Magellan’s, waitstaff come around offering bread at the start of the meal, and you’re welcome to have more during the meal. From memory there were two or three types of bread. Both my partner and I liked this one with the heart shape on it the best. 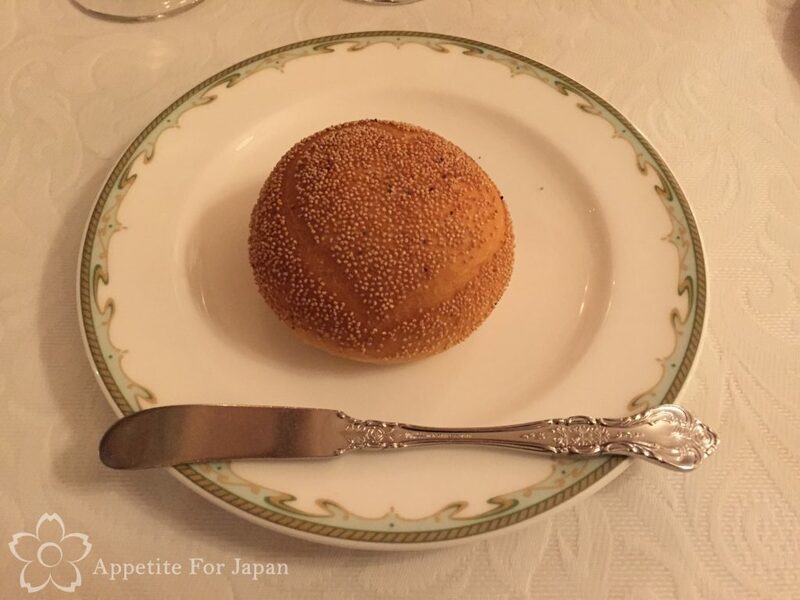 We both had the S.S. Columbia Dining Room Chef’s Special Dinner Course. 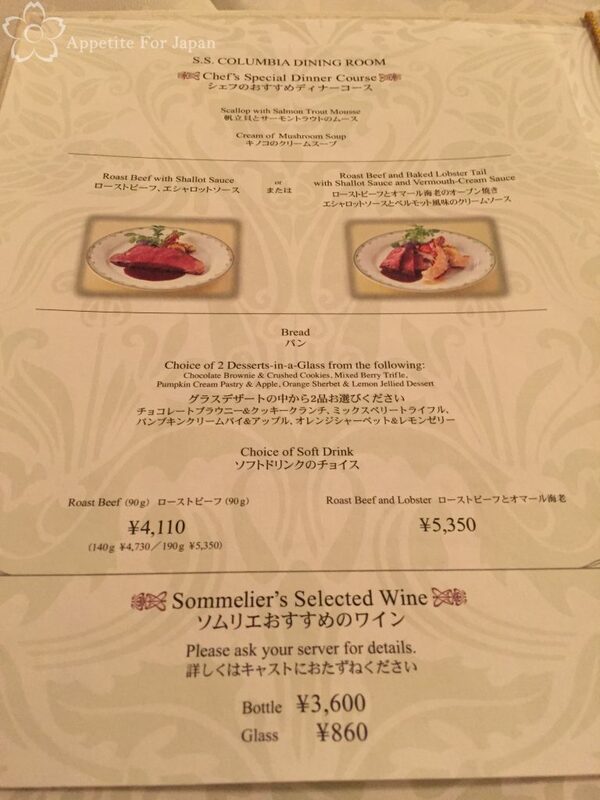 Depending on the main course, this course menu costs 4,110 to 5350 Yen (at the time of writing). 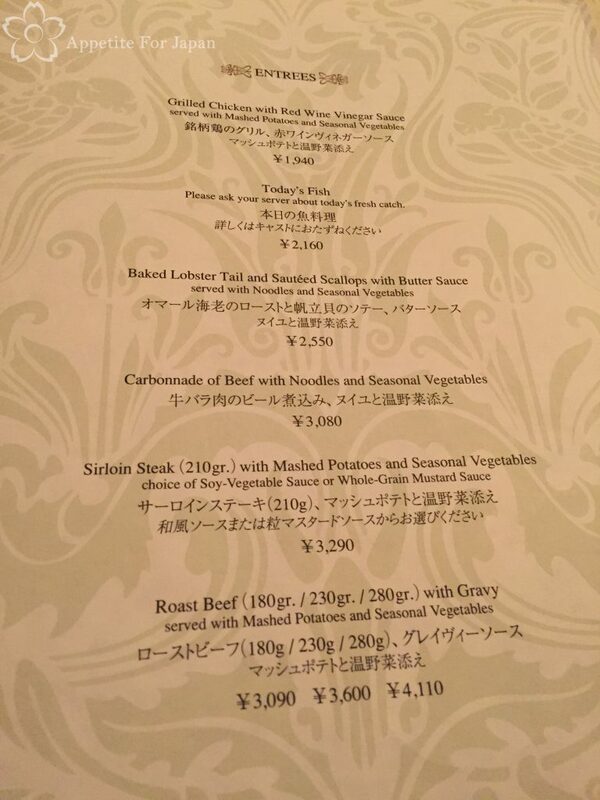 We both opted for the most expensive version because this included both roast beef and lobster. The appetiser was scallops with salon trout mousse. Not only was it tasty, but it was beautifully presented, Note the fancy cutlery and tablecloths – they’ve really gone to a lot of effort with this restaurant. 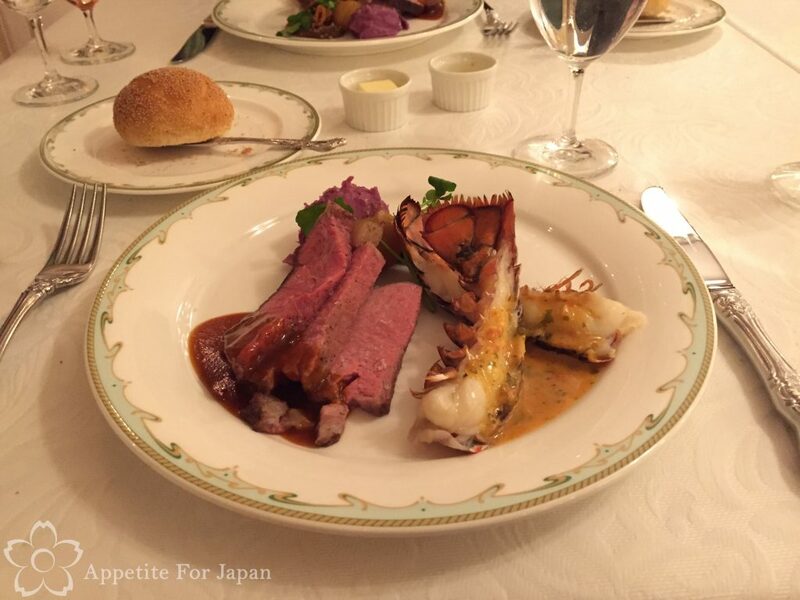 Main course: roast beef and baked lobster tail with shallot sauce and vermouth-cream sauce. 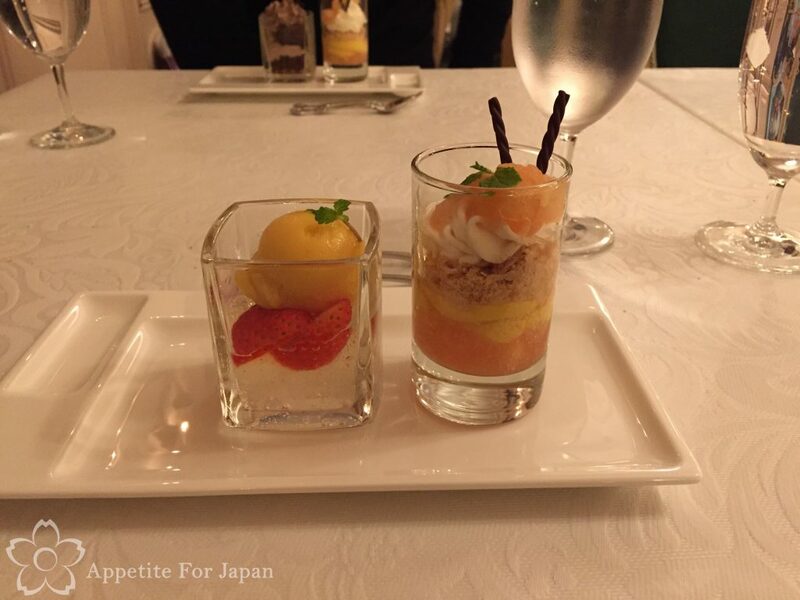 Dessert was a choice of two desserts in little glasses out of a selection of four. This was the only part of the meal that wasn’t amazing. 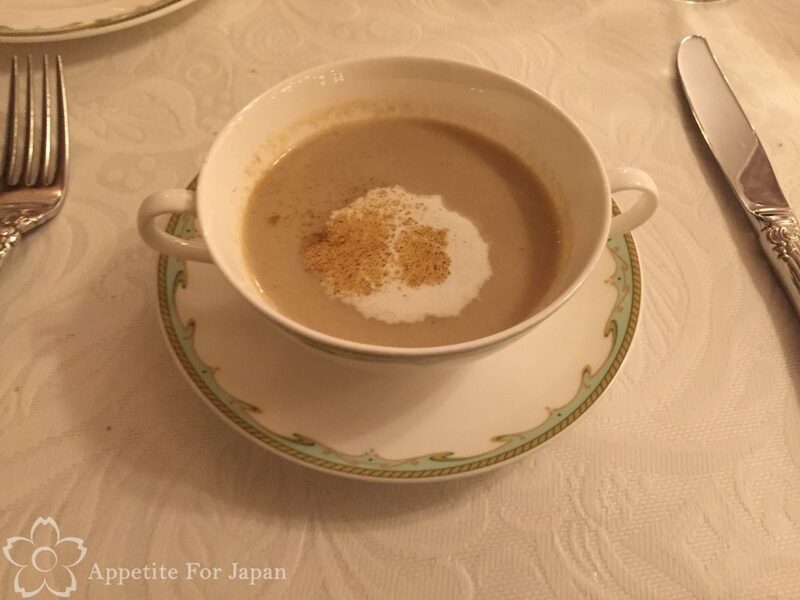 There was nothing wrong with it, but after the rest of the meal, the dessert simply didn’t live up to our rather high expectations. Of course, we hardly needed dessert anyway given that we’d eaten so much already! 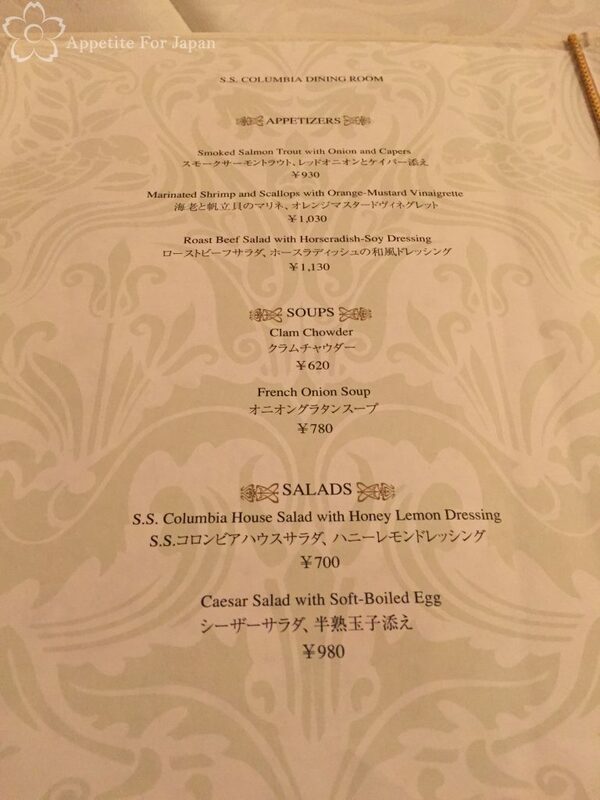 Above: Included in the menu is information about the S.S. Columbia. The S.S. Columbia Dining Room is easy to find. 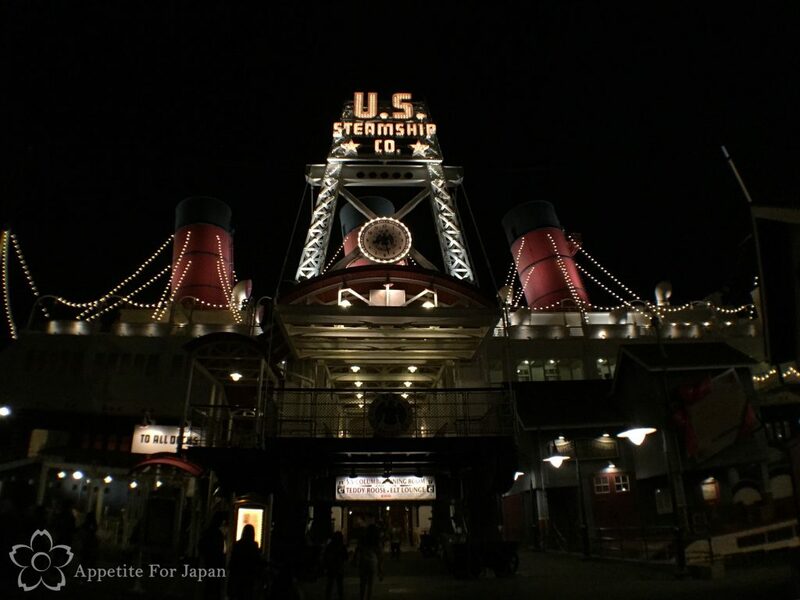 It’s inside the giant ocean-liner in the American Waterfront area of Tokyo DisneySea. You can’t miss it. 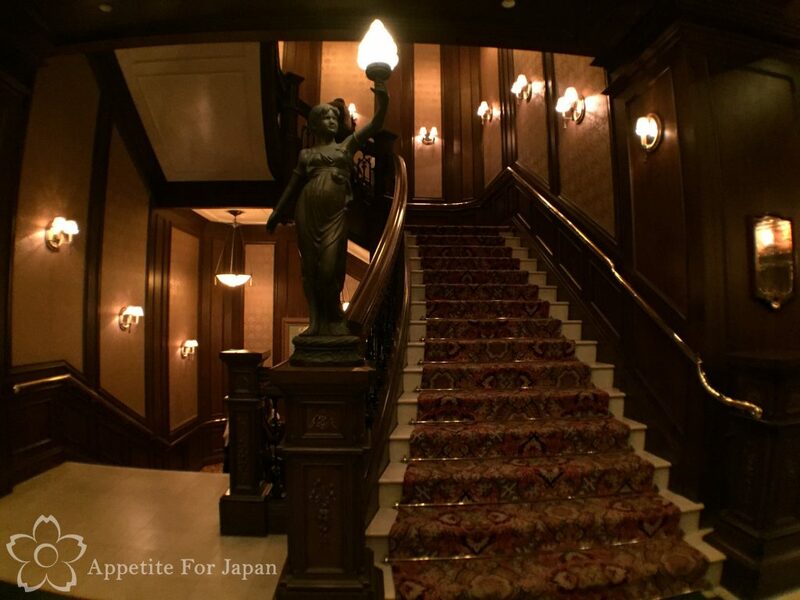 When you get there, enter the ship and take the grand stair-case to the restaurant. Would I recommend the S.S. Columbia Dining Room? 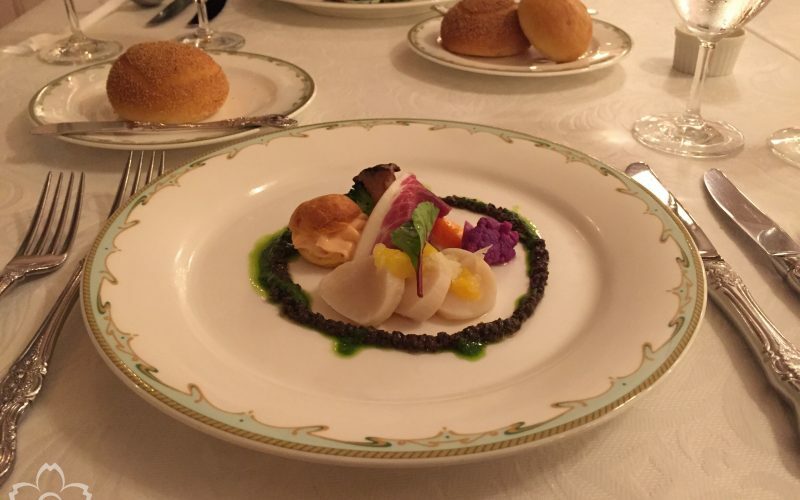 My partner and I both thoroughly enjoyed our dinner at the S.S. Columbia Dining Room, and we plan to eat there again. 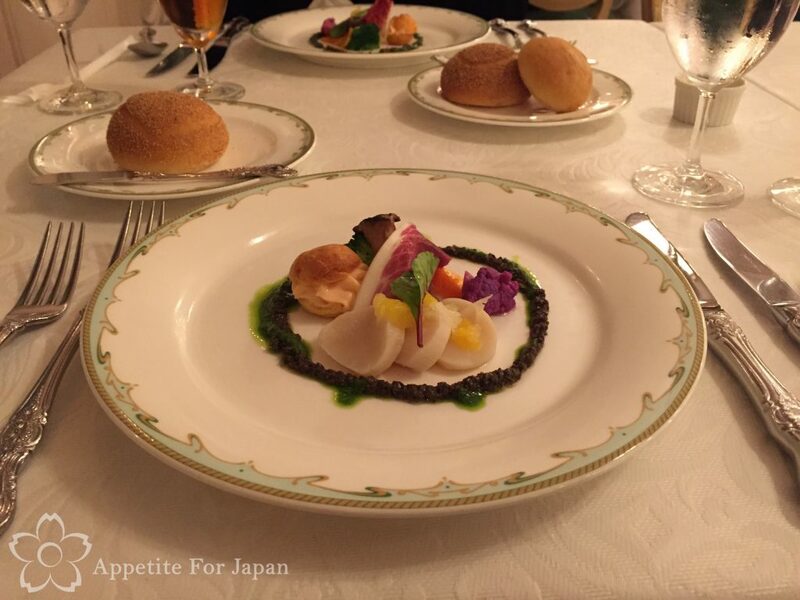 I would definitely recommend it if you’re looking for a delicious meal at an elegant table-service restaurant within Tokyo DisneySea. 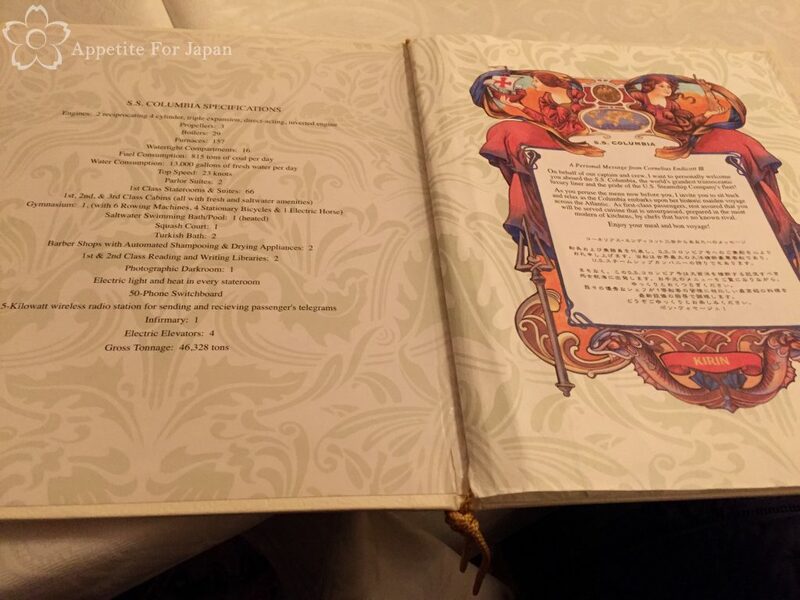 This is one of the most expensive restaurants at Tokyo Disney Resort (along with Magellan’s), with the average meal costing between 3,500 and 5,500 Yen per person, but it is very good. Next up, we’ll visit the Great American Waffle Company at Tokyo Disneyland.